So this is your last chance to support your favorite business idea and help them win the Grant. Only the top 5 companies are presented in the chart. The first three companies are in extremely tight competition right now. Obviously even a vote or two might make a big difference. 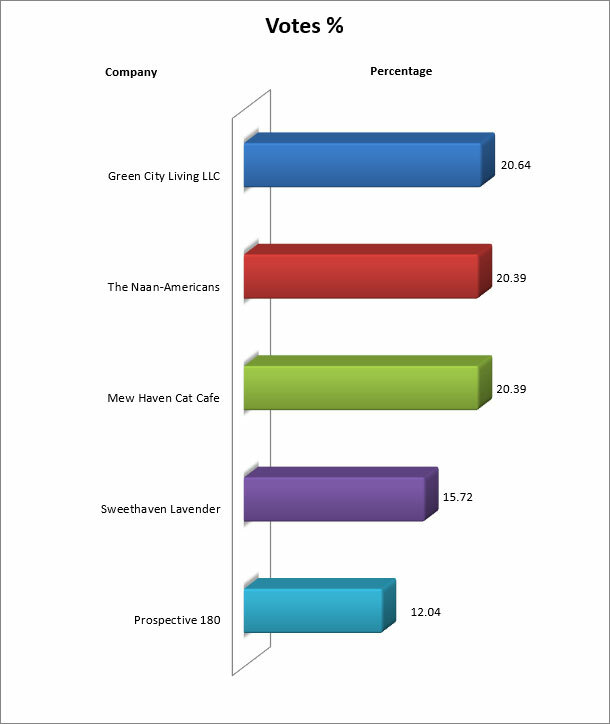 As of the previous round, the most proactive business owners are those who hold the biggest chance to win the grant. They don’t leave winning to chance. So we can be witnessing exciting final days filled with a lot of emotions and possibly a shift in the results. This is your last chance to support your favorite business idea. And, if you really want your small business "idol" to be a winner, you can encourage your friends, clients and colleagues to add their votes to yours. Note: only one vote per Regular! 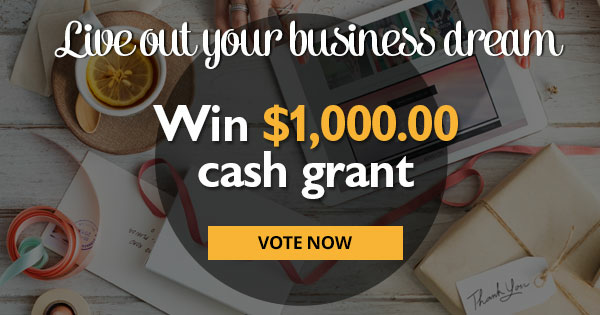 Go to the grant page, and cast a vote for the most deserving business idea.